Installation doesn’t require a spring compressor. 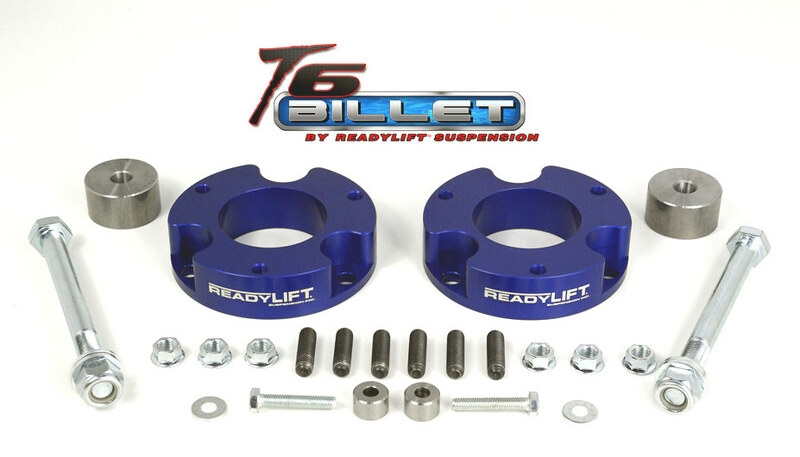 Above-coil spacer lift kits aren’t for everyone – hard-core and/or heavy-duty off-roaders are better off going with a new set of coilovers – but if you’re the “average” Tacoma owner who doesn’t push their truck to the limit, a spacer lift kit is a perfectly viable option. 2. You can run 32″ or 33″ tires with this kit installed. The 32’s will fit no problem, but in order to get a set of 33″s under your 05-10 Tacoma, you’ll need to trim up the inner fender panel. 3. All ReadyLift products come with a lifetime warranty. If you can justify the additional expense, a ReadyLift SST lift kit might be a smart upgrade. Unlike the new T6 leveling kit, the SST kit includes a differential drop kit that helps to preserve the factory CV joint angles. 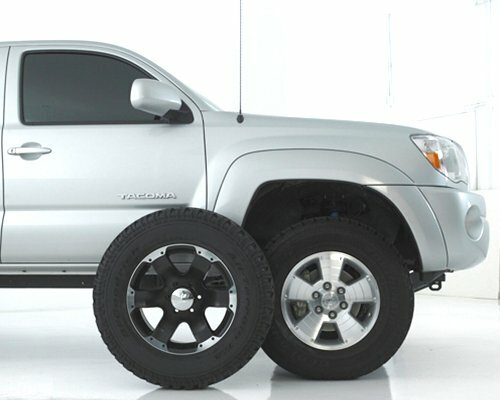 First, it’s important to note that different Tacomas will have different amounts of lift. According to multiple lift kit manufacturers, there’s a fair amount of variation in the stock “rake” from truck to truck…adding a ReadyLift leveling kit may increase the height of your truck more or less than 2.25″ (2.25 is the average). Second, you’ll want a buddy to help. There’s a fair amount of prying involved to get the factory coilover out, and even more needed to get it back in (the extra length can make it tough).